Egypt’s newly sworn-in President Mohammed Morsi reaffirmed his Islamist beliefs in his inauguration speech, but promised the country would not swerve from a moderate course in its international policies. 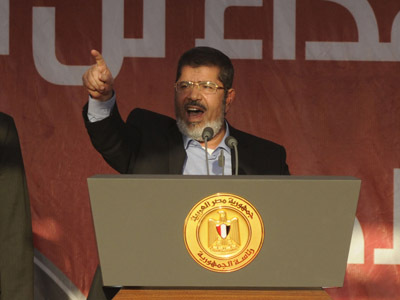 ­Morsi opened his inauguration speech with the words "God is greatest, above everyone." But he sought to mollify those who feared that Egypt would review its peace treaty with Israel, and encourage hardline Islamists to rise up in other Middle Eastern countries. 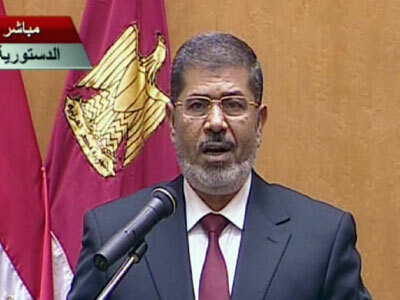 "We carry a message of peace to the world," said Morsi during the live broadcast from Cairo University. "We emphasize the state of Egypt's commitment to international treaties and agreements." He also aligned himself with the West and the majority of the Muslim world in supporting the rebels against President Bashar Assad in the Syrian civil war. “Spilling the Syrian people's blood has to stop. 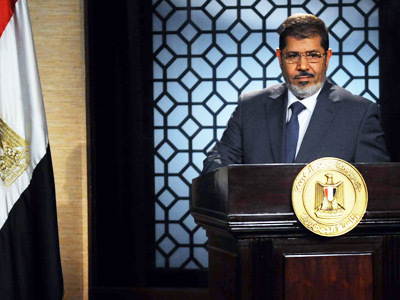 We will exert efforts to achieve that in the near future," said Morsi. ­Much of Morsi’s speech was dedicated to celebrating the democratic changes that have occurred in Egypt since last year. A wave of public protests swept away the authoritarian Hosni Mubarak, who had ruled the country for 30 years. Morsi is the first Egyptian leader chosen in an open election. "Together we start a new page in history, we turn back a hideous page, and we open a new shiny page," said Morsi, who emerged as the winner in a two-round poll. 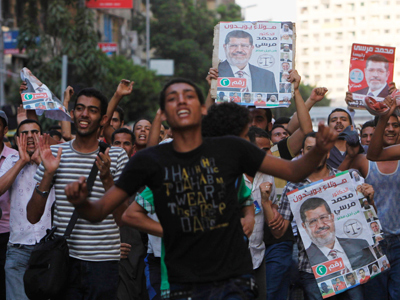 Despite the triumphalist tone of Morsi’s speech, the country remains in the throes of a prolonged constitutional crisis. Some feared the powerful military bureaucracy would not let the winning candidate assume his post. It has, but presidential powers have been significantly curtailed. The army that was the pillar of Mubarak’s regime recently dismissed parliament, dominated by Morsi’s Muslim Brotherhood, and said it would assume legislative duties from now on. 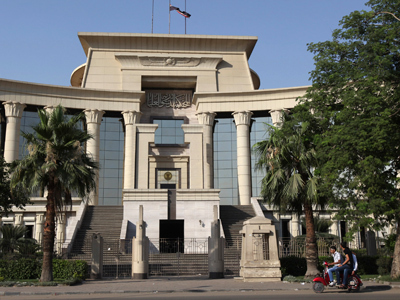 "Egypt will not go backwards," insisted the 60 year-old President, earlier forced to read his oath before a court, instead of the dissolved deputies’ chamber. "The military council has kept its promise that it would not be a replacement for the public will," he continued, as generals in the audience clapped. 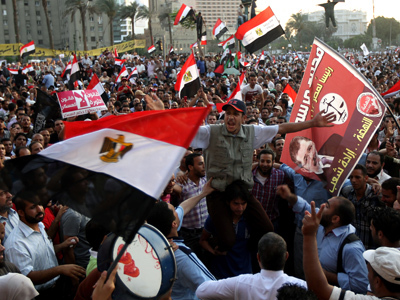 The country still has yet to write a new constitution for the post-Mubarak era. The previous Islamist-dominated committee was also disbanded by the army, and membership in the replacement body will be the weathervane for Egypt’s political direction.